Mallika Srinivasan was born in Alwarkurichi, Tirunelveli, Tamil Nadu in the year 1959. She is the University-Gold medalist in Economterics from University of Madras. She became the member of Dean’s Honor list and the Alpha Beta Gamma Society in Wharton School of Business, University of Pennsylvania, United States. After many prestigious endeavors from various top universities Mallika Srinivasan started her business career in various fields. She is the Chairperson and CEO of Tractors and Farm Equipment Limited. She is one of the board members of AGCO Corporation of United States of America. She is also in the board of Tata Steel and Tata Beverages Limited. Mallika Srinivasan established the tractor manufacturing company TAFE and rose up the status of the company in the national level market in the rate of 96 Billion INR. 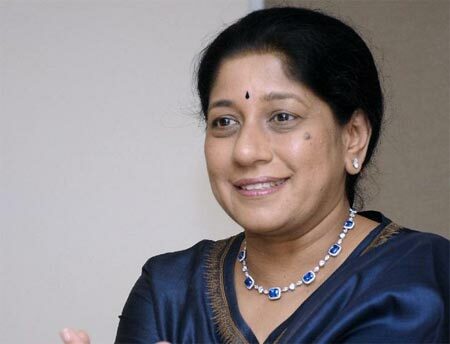 She is also the executive board member of Indian School of Businesses, Hyderabad and also the Barathidasan Institute of Management in Trichy, Tamil Nadu. Mallika Srinivasan runs an NGO that supports education and health care improvement of people from rural background or under privileged section. She has been an active role in many events of Sankara Nethralaya.